It’s 20 years ago since we were ‘halfway’ to an equal age of consent for gay men. Back in the day, when I went courting with gentlemen callers, it was mandatory that you were both at least 21 if you wanted to stick any part of your body in any part of another guy’s body, and you could only do it then in a locked room with the lights out and making sure you didn’t wake the neighbours or scare the cats. That was THE LAW. I was part of a generation who thought it really shouldn’t be like that. We felt we should be treated the same as str8 people(who weren’t normal, just common), and that it was about bloody time the law changed to be on our side. Back then. not many people agreed. Politicians and the Press thought it was an outrageous idea, and somehow the whole idea for an equal age of consent at 16 got caught up in an ammendment to the Criminal Justice Bill of 1994 by Sir Anthony Durrant proposing a compromise age of consent for gay men at 18.’Halfway there’ as someone announced after the vote took place. It wasn’t, of course, and on February 21 a peaceful vigil at the Houses of Parliament erupted into a bit of a riot, with police having to lock the doors to the Place Of Westminster as as 5,000 well behaved homos went from singing ‘Somewhere Over The Rainbow’ a bunch of Very Stroppy Queens. 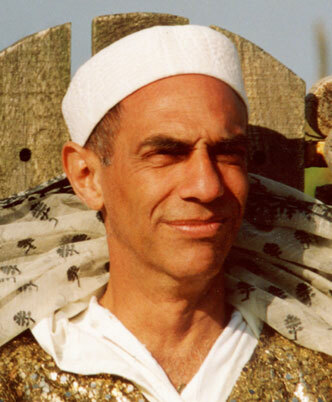 A few days previously, on February 19th, filmmaker and activist Derek Jarman died from HIV related illness. He’s been in the news a fair bit over the last few days, as there’s a rather nice South Bank retospective of him and his work, which is long overdue. I first met Derek when the Sisters Of Perpetual Indulgence were invited to take part in his film Edward II. He wanted some contemporary resonances for the film, and thought activists like us and OutRage might illustrate some of the current political tensions around sexuality.The Sisters – men in nun’s habits – were an image Jarman couldn;t resist. One of his assistants cornered me at the Black Cap pub in London when we were out on the town in our habits, and I agreed on behalf of us all. As it happens, we were looking any excuse for for an opportunity to honour Derek Jarman with a canonisation.Preferably while he was still alive and kicking. Derek (Dezzie as I took to calling him) invited the Siters to watch the rushes from the day’s filming, ad I popped the question to him then on whether he’d consider becoming our fist Saint. He was utterly, utterly delighted, but also very humbled, and immediately begand thinking about what to wear and where it would happen – ‘you can come to Dungeness!’ he said. So plans were put in place, and in 1991 a party of Sisters turned up at his bona lattie in Dungeness with a yellow inflatable banana, a cuddly toy and a glass hospital bedpan to declare him as St Derek of Dungeness of the Order Of Celluloid Knights. He wore a necklace made of pictures of cockrings, and a glamourous gown from Edward II, made tea for us all and seemed to have a fine time. He took great pleasure showing us his garden, and posing for pictures for an enthusiastic local media. The service was all conducted in the gay slang language polari. From time time, we bumped into each other at gay activism events like the Opening of the Soho Carnival and he was always rather a giggle, and genuinely enthusiastic about the good works of the Sisters Of Perpetual Indulgence, and his own responsibilities in Promulgating Universal Joy and Expiating Stigmatic Guilt. He died a couple of days before the vote on the Age Of Consent in 1994, and it is said his last words were that he wanted the world to be full of fluffy binny rabbits. I don;t believe hat for a moment as he struck me as a lot more ballsy and rebellious than that. Parliament finally created an Equal Age Of Consent in 2001. This entry was posted in Uncategorized and tagged age of consent, canonisation, cliff richard, derek jarman, dungeness, edward II, gay history, outrage, polari, Sisters Of Perpetual Indulgence, stonewall.